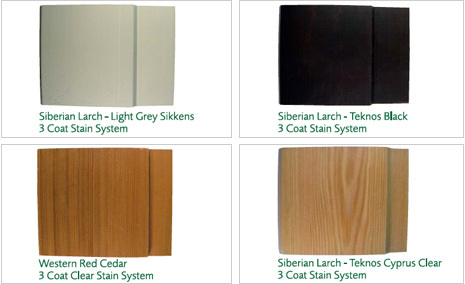 Bennetts Timber offers a wide range of stained or painted finishes for your softwood timber. 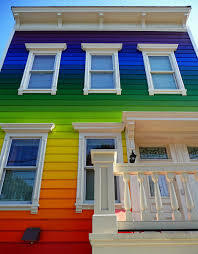 We mainly use products available from manufacturers such as Sikkens, Teknos, Dulux and Osmo. All you need to do is supply us with a reference code (usually a RAL) for the colour choice/product and we should be able to source that product for you and price accordingly. The timber is then treated with the finish at our site, usually with one base coat and two top coats, depending on the specification required, then dried prior to delivery on site. Application of the treatments and drying times can vary according to the product used and the time of year, so please call our sales team on 01472 350151 or email sales@bennettstimber.co.uk using our contact form and we will tailor the price and lead in time for the maufacture and treatment of the product that you are looking for. A. PRICE - it is more econmonical to have timber pre-finished, rather than having contractors on site. B. TIME - we are able to stain or paint a high volume of timber quickly. C. GUARANTEE - A number of the well known products come with a guarantee. Alternatively, if you fancy some DIY and do not want your timber pre-finished by us, we can source the particular product for you and send it with your order. All data sheets and specifications can be supplied on request.